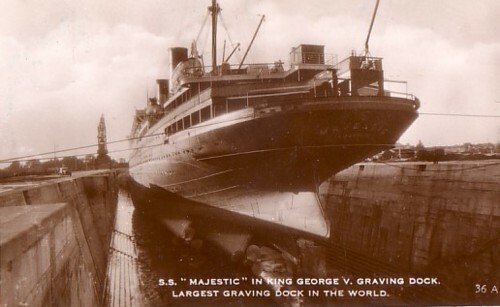 Image 36 in this real photo postcard series of the largest liner in the world being dry docked in Southampton. Not really a looker from her stern angle, was she? 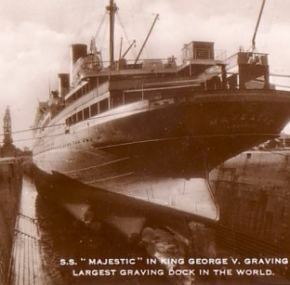 I bet if you scan this card you could discern the White Star flags in the scroll work of her stern. A nice touch. Unused an in excellent condition.